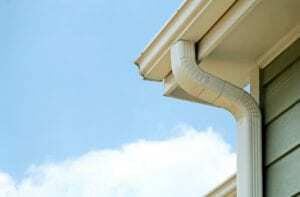 If you need gutter replacement services for your home in the Henderson area of Kentucky, look no further than 31-W Insulation. We proudly offer and install seamless gutters made by Spectra Metals, a highly respected manufacturer in the industry. Our gutters are made from heavy-duty aluminum alloy for durable construction that’s backed by a 20-year manufacturer’s warranty. And, because we measure and cut them onsite for a perfectly seamless fit, they not only improve curb appeal, but they also resist leaking and splitting. Plus, you’ll be able to choose from a broad spectrum of colors to complement your home and further add to its visual appeal. When you’re ready to get started with a gutter replacement solution, our team can visit your home for a free consultation. We’ll be happy to provide you with an obligation-free estimate and answer any questions you may have. To learn more about the gutter replacement and other home improvement services that we offer for Kenderson, KY, residents, contact 31-W Insulation today.